Third Space are London’s luxury health clubs, individual in style and bound by a common philosophy; to provide outstanding fitness spaces that our members feel are their own. We are committed to ensuring outstanding quality and excellence in every area of our offering and making continuous improvements to our member experience; this is where we need you, a passionate, dedicated and professional individual with an interest in health and fitness with your own flair of originality.<br><br>We’re currently looking for an Operations Manager to join our business as an integral part of the opening team for our brand new club in the heart of Islington. This is a crucial and high profile role for our business and will see you partner with the General Manager on all aspects of the pre-opening of a state of the art health club, the launch and beyond. Once the club has opened, you will be responsible for all areas of operation in the club, ensuring exceptional standards are maintained at all times in a safe environment. You’ll oversee our extraordinary Member Concierge, highly skilled Facilities Engineers and busy Housekeeping teams to ensure outstanding service is consistently provided to all of our new and existing members and guests and that the member concierge strategy is fully implemented and adhered to. <br><br>The Operations Manager will support the General Manager in the successful and smooth operation of all aspects of the club, ensuring the highest standards of cleanliness, maintenance and procedural operations are maintained and that all amenities are in working order.<br><br>• You will also lead and manage the Member Concierge Manager and oversee the Member Concierge team ensuring all team members are fully trained in and consistently demonstrate the expectations of the Member Concierge strategy.<br>• You’ll contribute to club and Third Space strategy, sharing best practice and contributing ideas to further enhance the member experience and proactively respond to member feedback, reporting feedback to relevant departments and GM, where necessary.<br>• As Operations Manager, you’ll also ensure that all club team members are suitably trained in Health and Safety procedures and that the company policies and procedures relating to health and safety are adhered to at all times.<br><br>In order to be considered for this role, we’ll expect you to demonstrate strong leadership skills, including managing and developing a team, as well as how you ensure a great member experience and proactively deal with member feedback and complaints. You’ll be able to demonstrate a full understanding of managing the club as a Duty Manager or above.<br><br>As well as the usual you get for turning up for work, you and a buddy will get complimentary memberships to all of our amazing health clubs to attend as many cycling classes as your legs will allow! You will also receive discounted prices within our restaurant, Spa, Medical, Retail and Natural Fitness Food offerings as well as with our first class Personal Trainers. 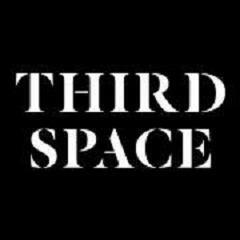 Third Space - Islington is posting their hospitality jobs on Harri.